Fastlane Autocare is a leading specialist in supplying, reconditioning and testing all makes of diesel and petrol fuel injection systems. We carry all the latest diagnostic and fuel testing equipment for every make and model of car. We can fully test any fuel system on any vehicle fully mobile at a time and place to suit you which is ideal if your vehicle will not start. We also hold the latest diagnostic and fault finding equipment which means we can resolve any issue your vehicle may be having quickly and efficiently. We offer an at your door service for vehicle fuel and injector testing all over the North West area. We recognise how important it is to check that all injectors are working correctly to ensure your engine is running as it should be. As we offer a fully mobile service, this saves the problem of you having to get your car, van, truck or even plant vehicle transported to our workshop, or indeed a garage in general. We have been testing fuel systems for many years and we also offer reconditioning and replacement injectors and fuel pumps. As well as stripping down and fitting new injectors, we carry all the equipment needed to deal with every aspect of your fuel issue! Not only can we test your fuel system at your doorstep, we can also diagnose every aspect of your fuel system. This includes solenoids, sensor wiring, sender pumps, injection pumps, injectors, common rail units and pressure sender units. Regardless of the vehicle type, we have testing equipment that will fault find all types of fuel injectors, common rails and fuel systems. Meaning we can get to the root of the issue quickly and perform a faster repair. We are recognised by Bosch and Delphi as an ATA level 3 approved fitter! We have specialist fuel testing equipment on all of our vans that are equipped with auto electrical repair and diagnostic testing equipment. Also, we offer a complete overhaul service to all makes and models of vehicle's fuel systems. This includes not only cars but also all commercial, plant and marine applications. 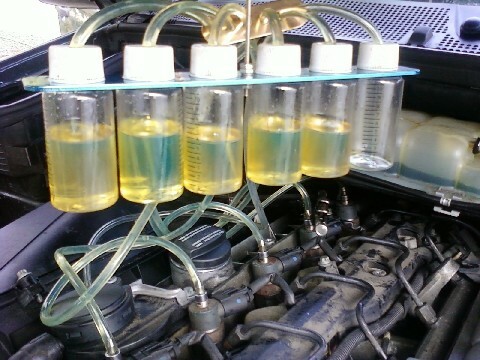 Here at Fastlane Autocare, we can test any fuel system on any vehicle (commercial or non-commercial). We have branches all over the North West area. Each of our branches is equipped to deal with any fuel system testing. We have branches in the following areas: Stockport, Congleton, Trafford, Manchester, Liverpool, Southport, Runcorn, Atherton, Wirral, Chester, Lymm, Cheshire, Radcliffe, Helsby, Leyland, Oldham, Queensferry, Skelmersdale, Swinton, Trafford, Walkden, Deeside, Middleton, Warrington, Denton, Hale, Chorley, Bury, Bolton, Warrington, Wigan and Widnes. In fact, any location in the North West where you need assistance concerning fuel system testing, we are ready to help! Call direct on 07943185471 where a member of the Fastlane Autocare team will be on hand ready to help!